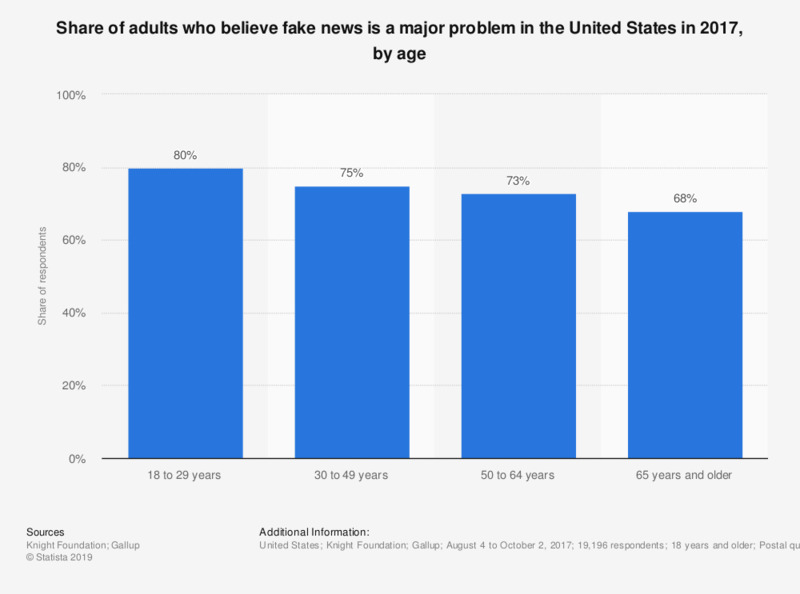 The statistic shows the share of adults who believe fake news is a major problem in the United States in 2017, sorted by age. During the survey, 80 percent of respondents aged 18 to 29 years stated that they believed fake news is a major problem. How much do you trust news of foreign media?